I love all the different possibilities for various embellishments in this sketch. 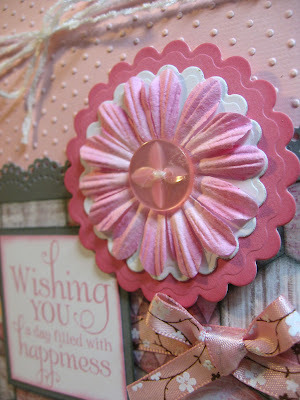 This is a 5 x 7 card using Grey Wool and soft pinks and grays from Tim Holtz's Vintage Shabby paper stash. 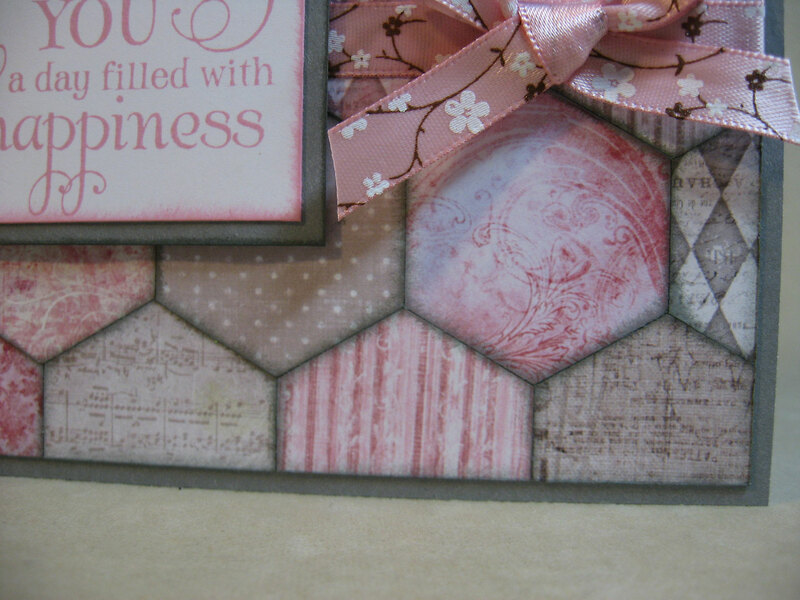 Thanks to my Creative Memories consultant and friend Tina Euler, I was able to make the hexagon shapes with her punch that I borrowed. 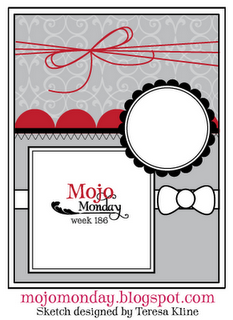 The sentiment comes from the Verve stamps that I won earlier this month on the Mojo Monday sketch challenge! It's called "Wishing You" and it's just beautiful. I know I'll get a lot of use from this set. I inked all the edges with Grey Wool and Blush inks. The fuzzy white strands at the top are White Daisy Sassy Strands, now retired, from Close To My Heart. The pretty ribbon and pink flower are from my local craft store. Thanks for stopping by. I hope you enjoy your day! OMGosh this is stunning! So shabby chic... love your color combo! My hexagon punch has been sitting unused for years. I am pulling it out today and using it. Thanks for sharing your beautiful card! Amazing card Annette, love the use of the hexagon punch. Thanks! I just love this Mother's day card! The hexagons and such a nice touch. Nice color scheme as well!